But my build button is disable and it keep saying that "You have to use windows 10 or greater". I checked the Hololese development requirement it support windows 7. what i am missing? The picture in your question contains the answer "You have to use Windows 8 or greater for this build". 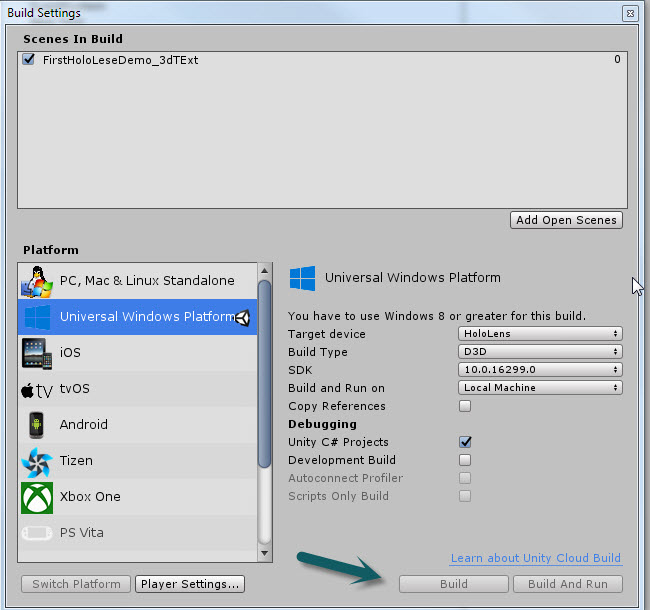 Windows 7 did not have the UWP (Universal Windows Platform). UWP application architecture was introduced in Windows 10 as far as I know.